The Grand Canyon Railway hosts special train rides and events, including Steam Saturdays, the Pumpkin Patch Train in October, and the always-popular Polar Express in November and December. Be sure to check out some of the Grand Canyon vacation deals they offer, with hotel and train ticket packages at various prices. 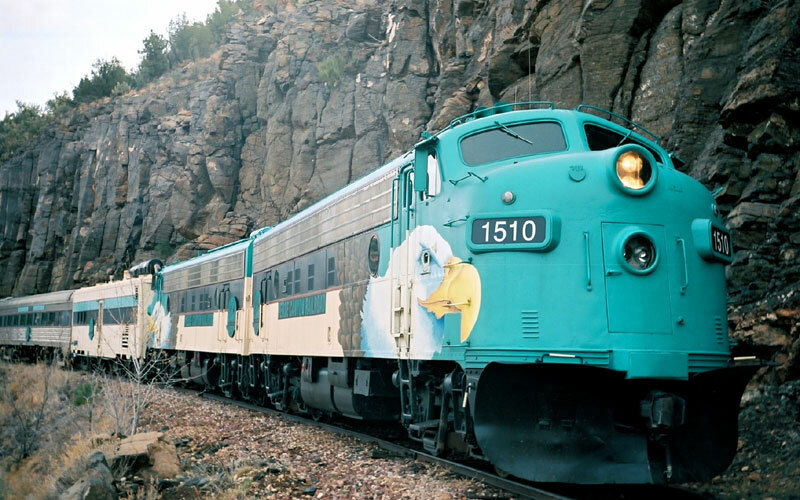 The Verde Canyon Railroad in Clarkdale, Arizona, provides passengers with an historic trip through the Arizona back country near the Red Rock Wilderness of Sedona. This 40-mile round-trip train ride through the Verde Canyon wilderness lets you see wildlife, cliffs, canyons and old mining artifacts from the comfort of a fully-restored vintage train. Check their website for packages, ticket prices, deals and events. The Verde Canyon Railroad also provides a venue for a variety of private parties, including weddings, birthdays or other events – what a fun way to celebrate your special day. “I want to go to the train park, Mom!” says many a kid as the weather gets cooler in Phoenix. The “train park,” as saavy parents know, is the McCormick-Stillman Railroad Park in Scottsdale. This 30-acre Railroad Park is operated by the city of Scottsdale’s Parks and Recreation Department, and is considered the most unique park of its kind in the country. The park lets visitors take a ride on the Paradise and Pacific Railroad, enjoy the 1950-vintage Allan Herschell carousel, visit a variety of shops and museums, or play on a one-of-a-kind playground in one of Scottsdale’s most beautiful public parks. 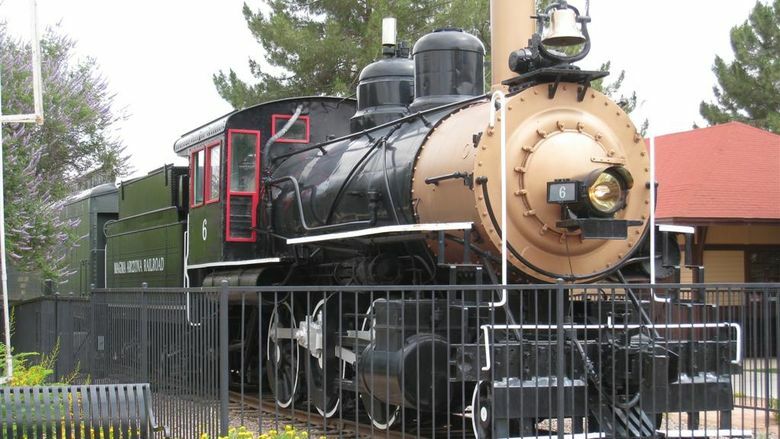 The McCormick-Stillman Railroad Park is home to the Scottsdale Railroad Museum, which features generations of railroad history, artifacts and memorabilia that bring the history of railroads to life. It also boasts a 10,000 square foot model railroad building that houses four model railroad clubs. The park hosts “Railfair” every year in October, a special Holiday Lights display in December, and will book Birthday Parties and Group Events at their facility. Check their website for more information about their attractions, hours and upcoming events – your kids will love it too! Admission to visit these trains is free, but donations are gratefully accepted for park improvements and ongoing maintenance. 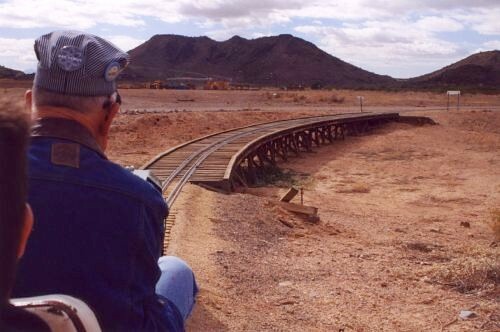 The 7 1/2″ gauge train enthusiasts run an impressive operation out in the desert, and this unique and inexpensive family activity gives kids and parents to opportunity to enjoy a scenic outdoor train ride on the Adobe Western Railroad. And be sure to check out their special Starlight Christmas at the Railroad Park, Fridays and Saturdays throughout December. See their website for information about events, history and hours. 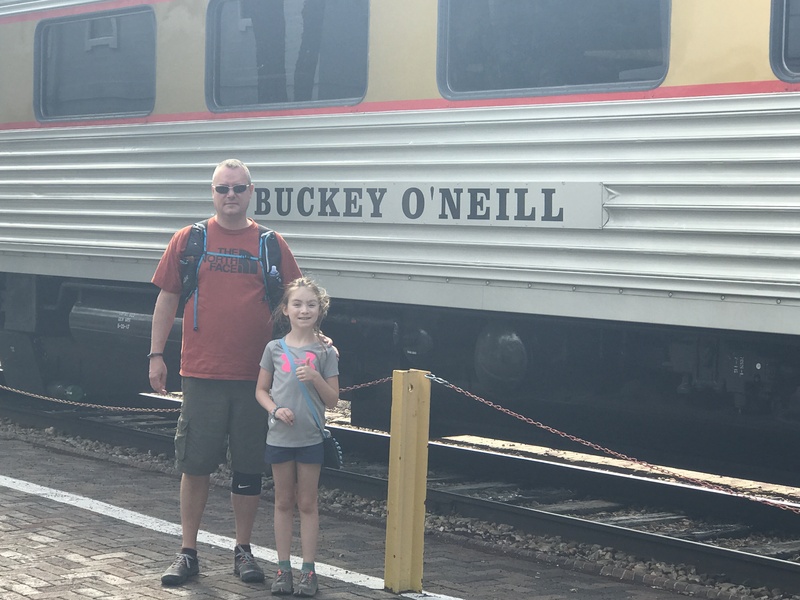 Take your kids and family out to enjoy riding the rails on one of the full sized or miniature railroads around the state – it’s a great way to see the scenery, wildlife and learn about the history of trains. 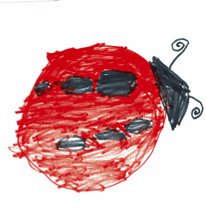 Be sure to check Ladybug’s Blog for a more ideas for great places to get your kids out of the house to enjoy adventures throughout Arizona.